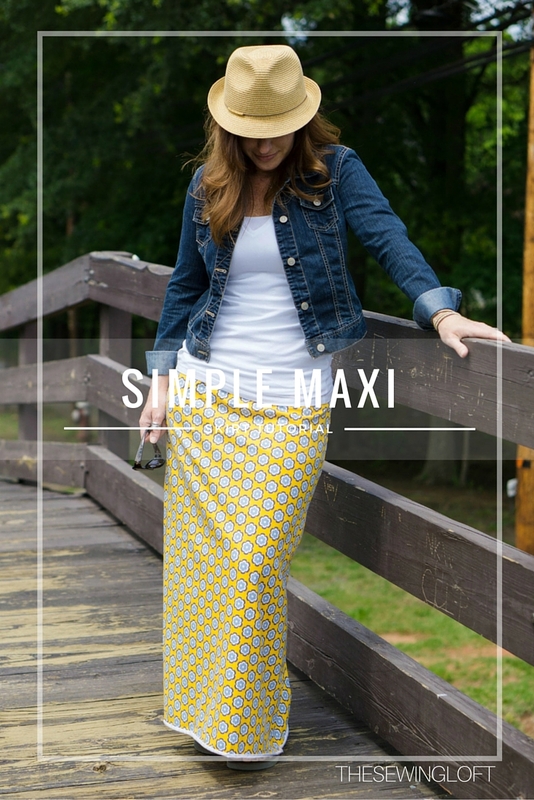 With the weather changing everyday here in NC, there is no time like the present to make a few of my favorite simple maxi skirt patterns to add to my closet. 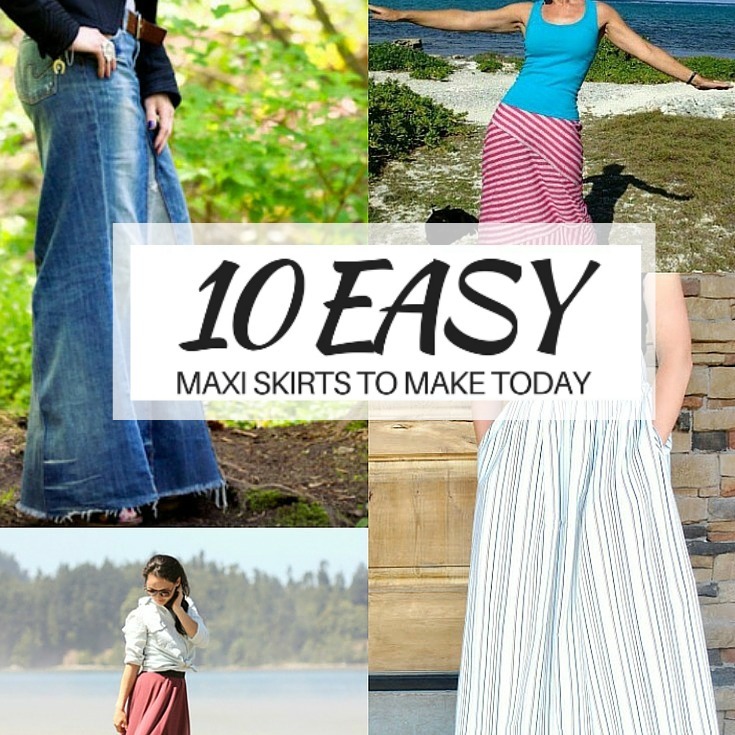 This skirt allows for easy dressing no matter what mother nature sends my way. 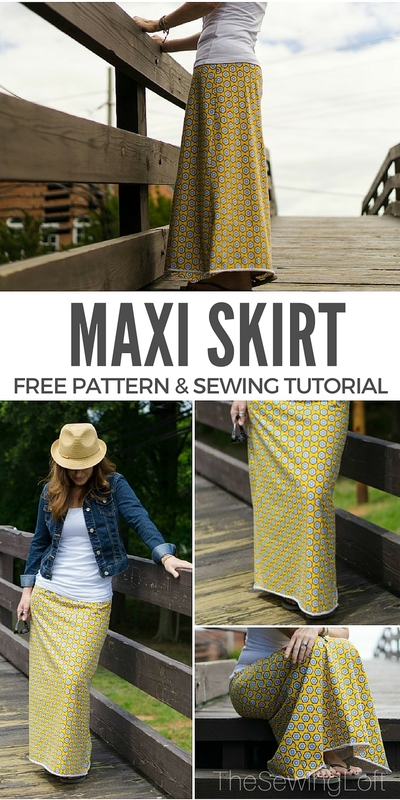 All it takes to create your own custom skirt pattern is a few simple measurements and before you know it, you’ll be stitching this skirt up in every color under the sun. It’s sure to become a basic staple in your wardrobe! **Note: The amount of fabric and elastic will depend on your measurements. Before we get started a few basic body measurements are needed. Now, it’s time to draft your paper pattern. Slash & spread your paper pattern as marked below to create fullness and shape. slash the pattern from the bottom to the top waist but not completely apart. spread pattern to accommodate desired fullness at hem and hip measurement. re-draw waistline and hem into a smooth curve. **This how to is focused around using a serger. But do not worry- you can use a standard machine set to a stretch stitch. Refer to your owner’s manual. 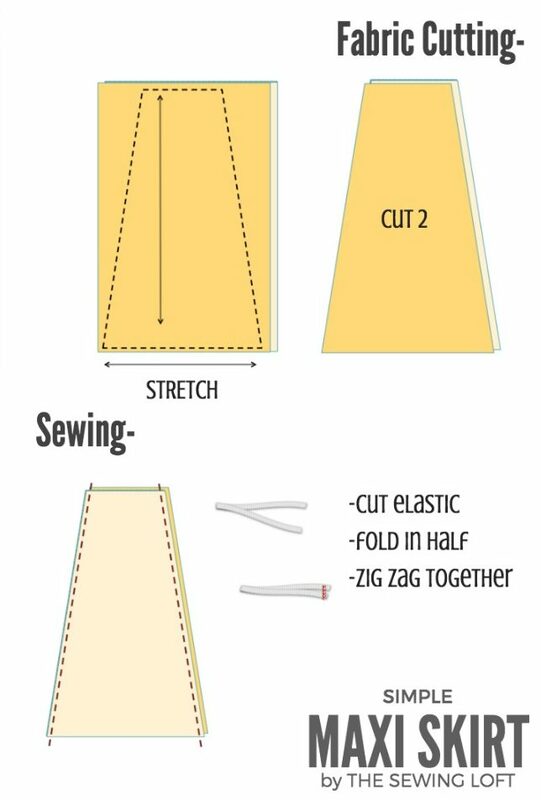 Pin and cut your pattern. Remember to line up your grain line. Cutting the fabric is super important so, please take your time! 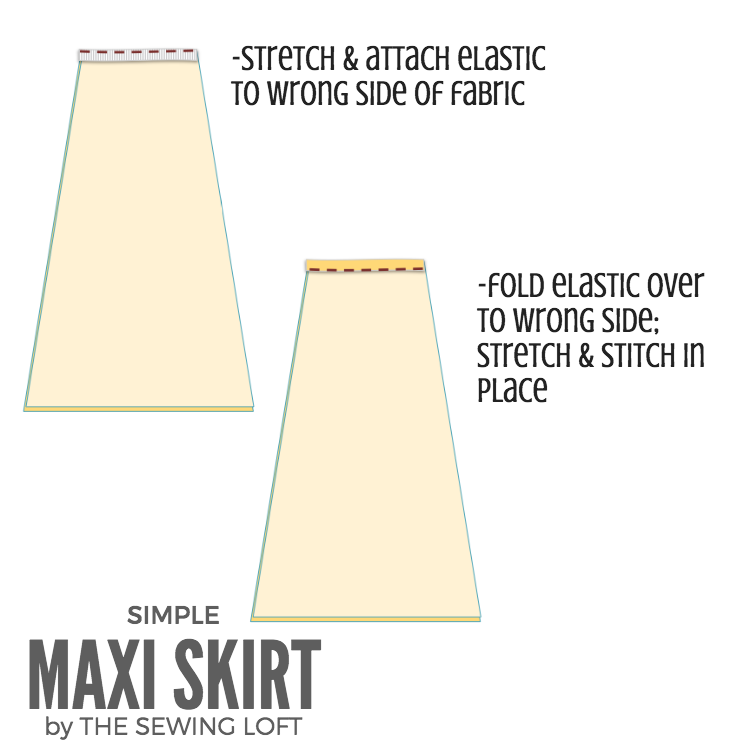 Match the front and back of skirt with right sides together; stitch side seams. 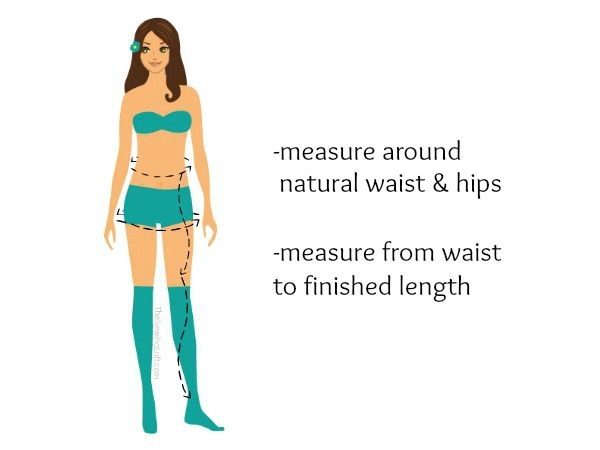 Cut elastic 3″ smaller than waist measurement. Fold in half and join together with zig zag. Stretch elastic to fit along wrong side of fabric and attach. Stretch elastic evenly while sewing. Fold over to wrong side of fabric, stretch elastic evenly and straight stitch in place along bottom edge. *Quick Tip: Now is the perfect time to slip in a label if you have one. Hem time: I give my hem a quick spin around the serger machine and had planned to turn it up but decided to leave it long and unfinished for a casual look. 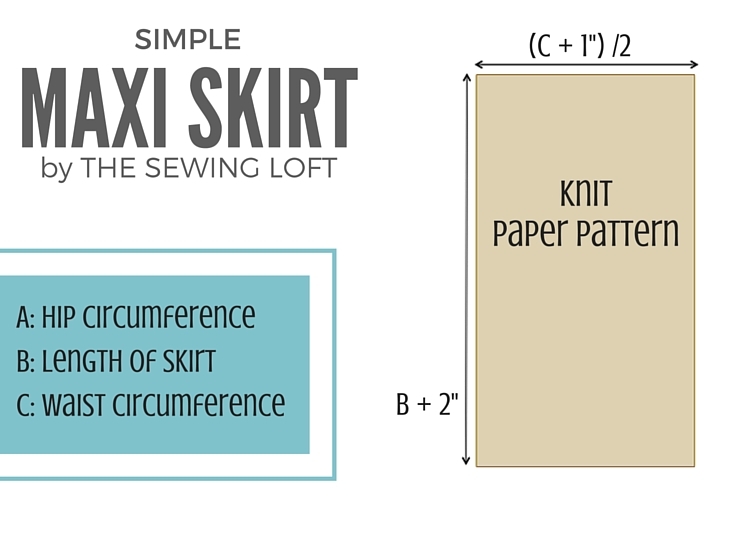 Be sure to purchase a knit fabric for your skirt. 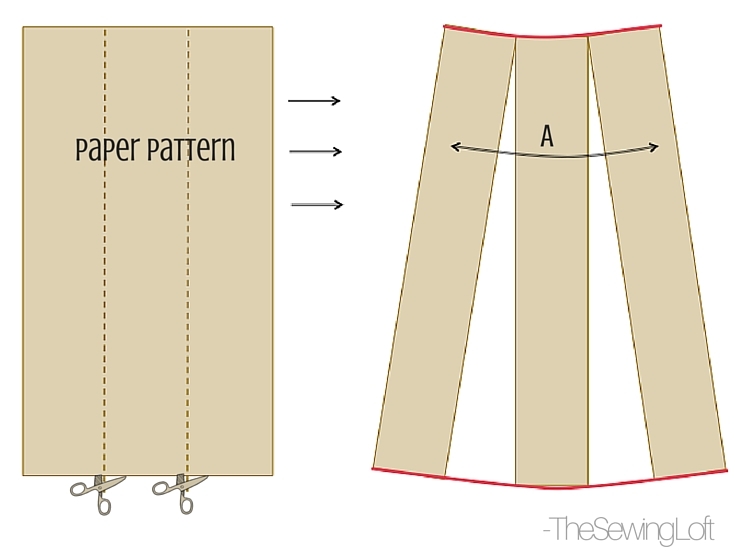 You can fold your fabric in half when cutting out your pattern. Consider your walking stride pattern. Make sure to leave ample room in the sweep/hem area to allow for climbing stairs. this is super cute Heather!!! Thanks Jess, I seem to be wearing it all the time these days! Knit maxi skirts are the best. That is all! Love your tutorial graphics and instructions, Heather! I hardly ever wear skirts, but this makes me want to try one! The tutorial is so simple, and I love the unhemmed edge! Easy. Thanks Veronica! I feel like I’m living in skirts this summer. Could I use cotton instead of knit? You could Danielle but since there is no give, you will need to add a slit for ease when walking. Otherwise, you may not have enough room for a full walking stride or climbing stairs. 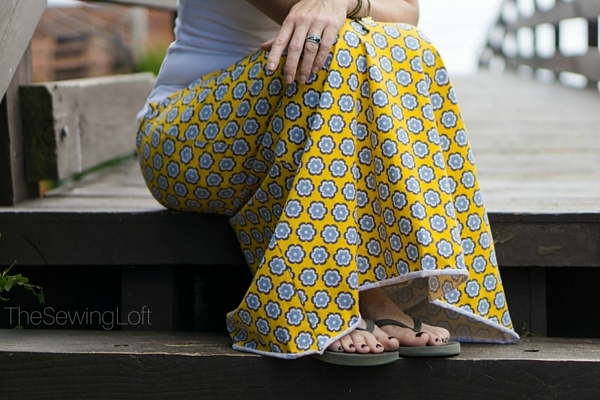 The stretch in the knit skirt allows for give in these areas. Could you use this pattern for a swim skirt, just not so long?? You bet Kimberly. You can really use this pattern for any type of attire. You may have put this information somewhere but I’m having trouble finding it. I know it says 60″ material, but do you know about how many yards this would require? The amount of material required will vary based on an individuals body size and finished skirt length.